Product prices and availability are accurate as of 2019-04-23 21:23:43 UTC and are subject to change. Any price and availability information displayed on http://www.amazon.com/ at the time of purchase will apply to the purchase of this product. Growing up, there was no better treat than a creamy, old-fashioned root beer. Deliciously sweet and perfectly carbonated, root beer has always been one of our nation's favorite soda pops. 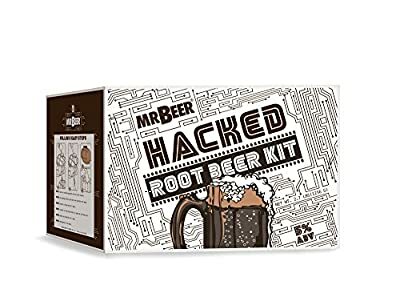 Now, Mr. Beer has decided to take this beloved beverage up a notch with an adult twist: say hello to Hacked Root Beer. At first sip, notes of vanilla and licorice take the forefront, followed by the frothy, full-bodied flavor root beer is famous for. But don't let that sweet exterior fool you, because this root beer has been hacked with 5% ABV and can deliver quite the punch. This Hacked Root Beer may not be suitable for work, but we guarantee it will be the first thing you reach for when you get home. 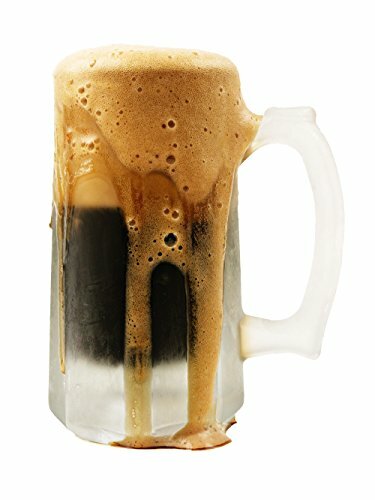 In recent years, hard root beer popularity has sky rocketed, but the popular brands can be hard to come by. 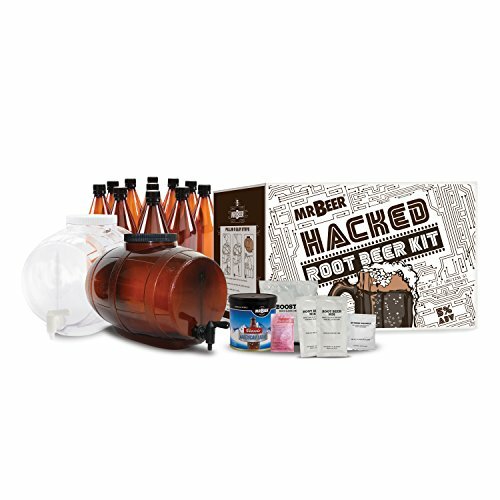 With Mr. Beer's Hacked Root Beer, it doesn't matter where you live because you can make your very own alcoholic root beer from home in just 6 weeks.